One of the most deadly false religions is Seventh-day Adventism (SDA). I recently witnessed to a Seventh-day Adventist gentleman, and afterwards I asked him if he had ever heard of the “New World Order ” (NWO). I asked him this because I know that SDA is totally supportive of the NWO. He replied that he hadn't heard of it. As I began to divulge the horrifying truth to him—the truth that SDA is a part of the demonic NWO—he quickly departed. Take a look at the SDA symbols to the left and right. Notice the creepy All Seeing Eye of Horus, and The Great Pyramid. These are common symbols used by Luciferian occultists to identify who is supportive of the Beast system of the soon to come Antichrist. 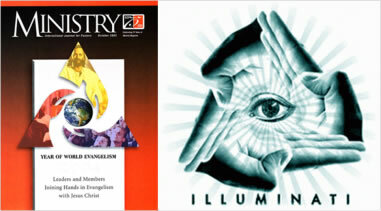 Anytime that you see these symbols, often cleverly hidden in business, government, church and organization logos, you know they are a part of the now forming Luciferian World Government, aka, the New World Order. These symbols are used extensively by Hollywood and the Satanic music industry, including Contemporary Christian Music (CCM). When I witnessed to the SDA man I mentioned earlier, he asked me if I had ever read “Steps To Christ.” I knew the book was authored by Ellen White, but I wanted to see his reaction when I mentioned her name. I said, “You mean the book written by Ellen G. White?” He seemed a bit startled at first that I knew her name, but he acknowledge that she is the author. It is telling that he didn't mention the Word of God; but rather, he asked me if I had read Ellen White's writings. That really pathetic. Kindly, it shows that he is brainwashed by SDA. I have a copy of “Steps To Christ” in front of me, and I am going to share with you a quote from Ellen White's chapter titled, “REPENTANCE” . . . SOURCE: Ellen G. White, Steps To Christ, pp. 23-24. What you just read is heresy. It is the Holy Spirit of God that produces changes in a believer's life, and not a mandatory change of heart to be saved. I'm tired of hearing false teachers say that you must have a change of heart toward sin to be saved. In effect, they are teaching that there can be no regeneration (being born-again) until there has first been reformation (a changed life). That is backwards! The Bible teaches that there can be no reformation until there has been regeneration (the new birth). To require a change heart for salvation is religion, and does NOT produce the new birth. Tragically, all across America, Independent Baptist Pastors are teaching exactly what Ellen G. White taught. Ellen White says that a person's life will never change unless they have a change of heart, which she understands to be the meaning of repentance for salvation. The truth is that there are different meanings of repentance in the Bible. The word “repent” (metanoia or metanoeo) concerning salvation simply means “a change of mind.” Even Wikipedia.org gets it right, teaching the truth that METANOIA means to change one's mind. This has nothing to do with changing one's behavior, life or heart. It is wrong to add to this simple meaning, saying that repentance must include a change of attitude toward one's sins, and a forsaking of sinful behavior. Ellen White is teaching the heresy of Lordship Salvation. 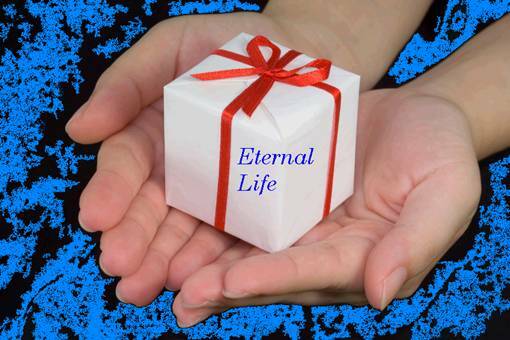 If this subject is confusing to you, I encourage you to study the Biblical teaching that eternal life is a “free gift.” A gift cannot be earned, deserved, qualified or merited to receive it. Salvation is a take proposition, not a give proposition. If you understand the true meaning of a gift, then you can clearly see what is wrong with Lordship Salvation (which is exactly what Ellen White is teaching). Also, I encourage you to study the Biblical doctrine of “IMPUTATION,” that is, we are saved by God righteousness which is imputed to the believer at salvation. SOURCE: Who are the Adventists?, “Truth Matters: Signs Of The Times” magazine, page 11. My friend, that is satanic! The Bible plainly teaches in Hebrews 1:1-2 that God DOES NOT COMMUNICATE TODAY THROUGH VISIONS, as He did to many people in the Old Testament. Hebrews 1:1-2, “God, who at sundry times and in divers manners spake in time past unto the fathers by the prophets, Hath in these last days spoken unto us by his Son, whom he hath appointed heir of all things, by whom also he made the worlds.” Jesus is the Living Word, and the Bible is the Written Word (John 1:1-3,14; Revelation 19:13). We learn about the Living Word through the revealed Written Word. If anyone tells you that God has given them a message or vision to share with others, you know automatically that THEY ARE LYING. False prophetess Ellen G. White is a LIAR of LIARS!! SOURCE: Who are the Adventists?, “Truth Matters: Signs Of The Times” magazine, page 15. SDA's don't like Baptists, not at all. In fact, according to SDA dogma, Baptists are part of Satan's Antichrist system, because they attend church on Sunday instead of Saturday. The truth is that there is no Sabbath Day today. Even Pastor Dwight L. Moody (1837-1899) in Chicago believed that the Sabbath Day is still a command of God in effect today. Mr. Moody was a great preacher and man of God, but he was wrong about the Sabbath Day. Colossians 2:16-17, “Let no man therefore judge you in meat, or in drink, or in respect of an holyday, or of the new moon, or of the sabbath days: Which are a shadow of things to come; but the body is of Christ.” The Sabbath Day was a ceremonial law, which applied only to Old Testament Israel in Palestine. Seventh-day Adventist's teach that anyone who attends church services on Sunday ARE THE Mark Of The Beast. 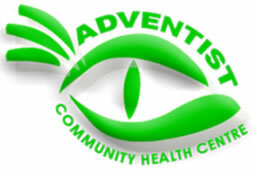 Seventh-day Adventism has approximately 18,000,000 members worldwide in 75,000 churches. They are all deceived by the Devil. And again, as Jesus exclaimed in Mark 7:9b, “Full well ye reject the commandment of God, that ye may keep your own tradition.” That's all Seventh-day Adventism is, TRADITION! But you cannot reason with them. Hell is filled with know-it-alls. Hell is filled with arrogant, stubborn, SDA cult members who refused to listen to the truth of God's Word. Psalms 118:8, “It is better to trust in the LORD than to put confidence in man.” Who made Ellen White a VOICE FOR GOD? Are you naive enough to accept that as the truth? My friend, there's not a verse in the Bible that ever directs us to seek the opinion of any man. SDA is a confusing mess! While they pretend to believe the same Gospel that fundamental Baptists do, at the same time they call us “Antichrist.” I've personally felt a spirit of hatred from Seventh-day Adventists, who hide their contempt for genuine Christians who don't approve of their satanic cult. SDA's have an umbrella over their head, continually reminding them that they are a strange religious cult that contradicts the fundamentals of Bible Christianity. Seventh-day Adventism is NOT compatible with Biblical Christianity. SDA's deny the reality and existence of an eternal Hell, where all Christ-rejecters will spend eternity in torment being punished for their sins. The Bible has much more to say about Hell than Heaven. Instead we are taught in Roman 3:4a, “God forbid: yea, let God be true, but every man a liar; as it is written.” SDA's are religious liars, teaching manmade doctrines instead of the inspired Words of God. God's Word is true. There's nothing in the Holy Bible about Investigative Judgment, a doctrine invented by SDA's. Basically, this false doctrine teaches that in the year 1844, Jesus entered into the heavenly Holy Place and began His work of judgment, investigating who is worthy or unworthy to enter into Heaven. The very premise of the doctrine is false, because NO ONE is worthy to enter into Heaven. The Bible teaches in Jeremiah 17:9 that man's heart is DECEITFUL and DESPERATELY WICKED. It is typical that people are easily deceived. People by nature defend their sins. People by nature defend their peer group when evil is committed. This is why corrupt police protect other corrupt police. This is why crooked judges won't go against other crooked judges. This is why evildoers stick with evildoers. It is in our sin-nature to behave shamefully. People will usually lie, cheat and steal to protect themselves, even when they are wrong! It is sinful. “Sunday-keeping must be the mark of the beast.” ... “The reception of his mark must be something that involves the greatest offense that can be committed against God.” (The Marvel of Nations, Elder U. Smith; pages 170, 183). “Here we find the mark of the beast. The very act of changing the Sabbath into Sunday, on the part of the Catholic church, without any authority from the Bible.” (Ellen G. White, The Mark of the Beast, page 23). “The Sunday Sabbath is purely a child of the Papacy. It is the mark of the beast.” (Advent Review, Vol. I, No. 2, August, 1850). “The change of the Sabbath is the sign or mark of the authority of the Romish church.” ... “The keeping of the counterfeit Sabbath is the reception of the mark.” (Ellen G. White, Great Controversy, Vol. 4, page 281). “The mark of the beast is Sunday-keeping. A law will enforce this upon Seventh-day Adventists. They won't obey. Then they will be outlawed, persecuted, and condemned to death! Of all the wild Advent speculations in the prophecies, this deserves to stand among the wildest.” (Seventh-day Adventism Renounced” by D.M. Canright, 1914). “Sunday-keeping is an institution of the first beast, and ALL who submit to obey this institution emphatically worship the first beast and receive his mark, 'the mark of the beast.' .... Those who worship the beast and his image by observing the first day are certainly idolaters, as were the worshippers of the golden calf.” (Advent Review Extra, pages 10 and 11, August, 1850). “the Seventh day, Saturday, must be kept; that keeping Sunday is the mark of the beast; that all should pay tithes; that Mrs. White is inspired as were the writers of the Bible; that the Bible must be interpreted to harmonize with her writings” (“Seventh-day Adventism Renounced,” by D.M. Canright, 1914). SDA's always try to give the impression that they are true Christians, by avoiding talking about their strange doctrines, but they are not Christians at all. SDA's don't believe in the Lake of Fire. They don't believe in eternal punishment for the damned. Their religion was formed in 1844 when a heretical Baptist preacher named William Miller, foolishly predicted the Lord's return. Over 10,000 “Millerites” sold their homes, gave away all their earthly possessions, and felt like idiots when the Lord didn't return. So to save face they started the Seventh-day Adventist religion, claiming that they misunderstood Bible prophecy, and that Jesus entered into the heavenly Holy Place instead. The SDA religion wouldn't exist today if Pastor William Miller hadn't foolishly crunched a bunch of numbers in the Bible, to form his whacko prophecy of Christ returning in the year 1844. SDA was born out of heresy and a failed prophecy, and they continue still today on that flawed basis. Seventh-day Adventism is a massive satanic hoax!!! Ellen G. White was nobody. SDA's sinfully elevate Ellen, just as Roman Catholics do Mary. As Christians, we elevate Jesus, the precious and sinless only begotten Son of God. I admire many fundamental preachers, but only because they preach the written Words of God. They don't claim to have seen private visions. The Bible plainly tells us that no Scripture is privately interpreted. 2nd Peter 1:20, “Knowing this first, that no prophecy of the scripture is of any private interpretation.” It is sinful and false doctrine that SDA's attribute Ellen White as being a voice for God. God tells us that He doesn't give private revelations to anyone, which is exactly what Ellen White claimed. She claimed to have received visions from God, which were intended to clarify His Word to the masses concerning Christ's Second Coming. Anyone who doesn't recognize Ellen White as a prophetess from God is labeled by the SDA cult as an Antichrist. I preach the Word of God, but my words are human, capable of error, and I would never claim to speak for God. Catholics believe that the pope speaks “Ex Cathedra” (i.e., in the place of God). May I say, the pope is dope and he has no hope! The pope has no hope because he is trusting in man instead of God. The Lord warns us about false prophets that would arise in the End Times, claiming visions from God and false Christs. Ellen White claims to have been given special revelations from God, which is demonic teaching. Matthew 24:23, “Then if any man shall say unto you, Lo, here is Christ, or there; believe it not.” We also learn in the Old Testament that the Scriptures (revealed truth) can be understood by all Christians. Deuteronomy 29:29, “The secret things belong unto the LORD our God: but those things which are revealed belong unto us and to our children for ever, that we may do all the words of this law” (also see 1st Corinthians 2:14). There is no one who can explain the mystery of the incarnation of Christ. Yet we know that He came to this earth and lived as a man among men. The man Christ Jesus was not the Lord God Almighty, yet Christ and the Father are one. —Seventh-day Adventist Bible Commentary, vol. 5, p. 1129, bold added. Ellen White falsely taught that Michael the archangel was Jesus. The Bible teaches that Lucifer, Gabriel and Michael are archangels, and none of them are the only begotten Son of God, Who is Jesus Christ. The Lord created all the angels, including the archangels. John 1:3, “All things were made by him; and without him was not any thing made that was made.” All of the modern corrupt Bible versions change “BY HIM” to “THROUGH HIM,” which is an attack on the deity of Jesus Christ. Jehovah's Witnesses and other religious cults teach that God the Father created all things THROUGH the Son; but the King James Bible tells us that Jesus Christ Himself created ALL THINGS!!! Why do some people become Jehovah's Witnesses, and other join the Lutheran cult, and other join Roman Catholicism, and some become Baptists, and others pick Church of Christ, et cetera? What is it that makes the masses of society join the various different religious denominations, which all differ drastically in their teachings? I really cannot say, because I don't know the answer to that question. I can see how some people would join a religion because of family connections. I can see why some people would join a particular religion because at a difficult time in their life, someone from that religion helped them out. I can also understand why some people would join a liberal church that doesn't take a stand against sin, and it functions more as a social club than a Biblical church. I can think of many reasons why someone would join a particular religious group. Albeit, it baffles me why people pick one set of religious beliefs over another, when they are all so very unique and different. SOURCE: “The Secret Destiny Of America,” page 195, by Manly P. Hall, a 33rd degree Freemason; 1944; ISBN: 0-89314-388-X; publisher: The Philosophical Research Society, Inc, Los Angeles, California. By harboring their false teachings of Investigative Judgment and a denial of eternal Hell-fire behind a false Gospel, SDA's deceive many people. Looks can be deceiving! We see this truth emphasized in Matthew 7:15, “ Beware of false prophets, which come to you in sheep's clothing, but inwardly they are ravening wolves.” There are many wolves lurking in our churches and Bible colleges today, who disguise themselves as harmless sheep. One of Satan's most effective weapons is the HALF-TRUTH!!! SDA's DON'T teach salvation by grace!!! I know they claim to believe that salvation is by grace, but they also require a changed heart to be saved, and as I evidenced to you earlier by Ellen White's own words, she says you have to turn away from sinful behavior to be saved. One of the best sermons I've heard exposing the falsehood of “turning away from sins” to be saved is the MP3 sermon by Dr. Ralph Yankee Arnold titled, Caught Between Grace And Works. Turning away from sinful behavior is a self-righteous work. It is wrong to add the unbiblical requirement to forsake the world and sins to be saved. This heresy has crept into most churches today, falsely teaching that God won't save a person unless they intend not to continue living in sin. SOURCE: Ellen G. White, Steps To Christ, p. 61.